From the very start of a project, application-specific critical success factors are addressed with an eye toward solving a business problem or automating a business process. DoubleBridge ensures that measurable objectives are identified and documented. DoubleBridge understands that every project will have some risks. However, if identified in a timely manner, they can be planned for, managed, and often eliminated. By creating contingency plans, DoubleBridge is able to manage the software development projects in a proactive manner. 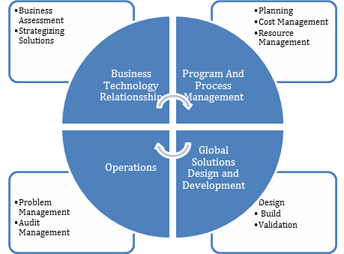 The IT services provided by DoubleBridge Technologies cover IT infrastructure management, application development and testing, and legacy system upgrade and migration.